The week following Melissa's graduation from the University of Wyoming, Mike and Melissa loaded up the Dodge Neon and hit the road for Southern Utah. Always up for beautiful scenery, fresh air, dreamy hikes and adventures the couple was eager to celebrate the upcoming summer vacation and Melissa's life as a college graduate (Mike was on a 5 year plan, engineering will do that to you). 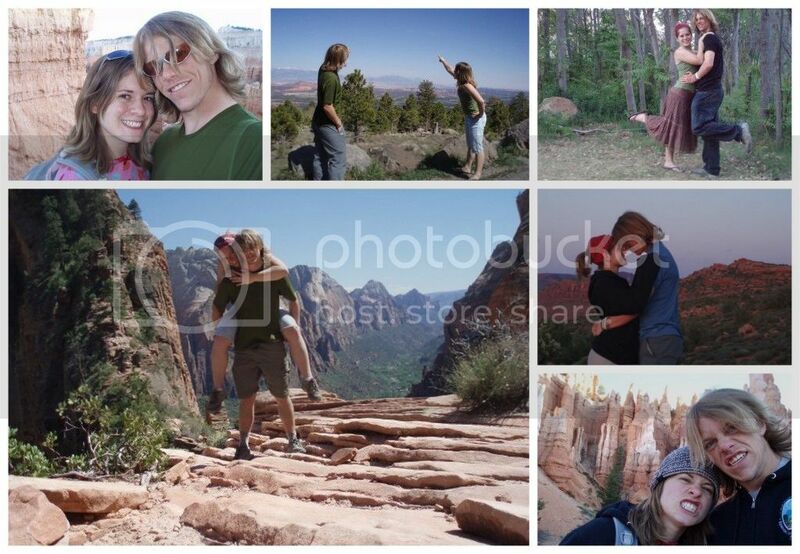 The road trip began with Mike and Melissa passing through the snowy border of Wyoming and Colorado and eventually arriving in Southern Utah where they would spend a week exploring Arches National Park, Zion National Park, Bryce Canyon National Park and the surrounding towns and outlying areas. A couple days into their trip, on May 9th, 2007, Mike got a bit persistent that the couple take on Angel Falls. A trail in Zion National Park that promised a gorgeous view of the area and had a small reputation of killing hikers who missed their footing during the last stretch to the main outcropping. In an oddly whiny and pitiful mood, Melissa agreed but huffed and puffed her way up the trail nervous she would soon be a statistic in Zion National Park's brochures. Fortunately, the couple made it to a large outcropping and rather than chance their way to the very top opted to stop for a bit of a photo shoot showcasing dives off the cliff piggy-back rides, the Lewis and Clark pose and a few others. Running out of pose ideas, Mike finally agreed to Melissa's original idea of 'jazz hands'. Melissa excitedly and eagerly threw out her arms ready to pose for the camera as the little red light flashed it's countdown. With hands in the air, Melissa looked across at Mike and was surprised to see his hands were not in jazz hand position, but rather fumbling with what appeared to be a purple ring while he dropped to one knee. Slowly coming to understand the importance of the moment, Melissa listened as Mike asked for her hand in marriage. Without hesitation she said yes, slipped a gas station mood ring on to her finger and sat next to her future husband who explained a few ideas he had up his sleeve. 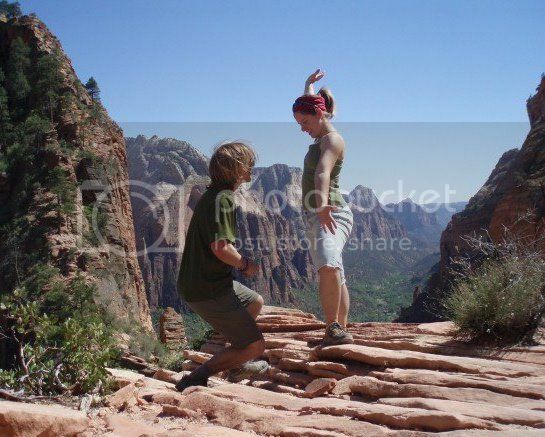 While looking out across Zion National Park, Mike explained that his true intention was to honor Melissa with the gift of his grandmother's wedding ring, but he didn't yet have possession of said ring, hence the mood ring. He continued the conversation by proposing a date for the wedding: September 7th. Melissa was shocked at the earliness of the date recalling earlier conversations where she had claimed her desire for an early Fall Wedding of which Mike was a little less sure. However, September 7th happened to be the date of his grandmother's anniversary and therefore held a great deal of significance for the couple who would inherit her ring. With these two details discussed, the shedding of a few tears and a growing anticipation for the future they would build together Mike and Melissa spent the rest of the road trip camping, exploring and eating a few outstanding meals, beginning with a Thai Restaurant near their campground in celebration of their recent engagement. And so began a summer of wedding plans and the true setting in motion of what now plays out on a weekly basis here at The Harrington Times.